Poppy Wortman reports on the extremely successful Great DIY Garage Sale held Sunday, October 28. 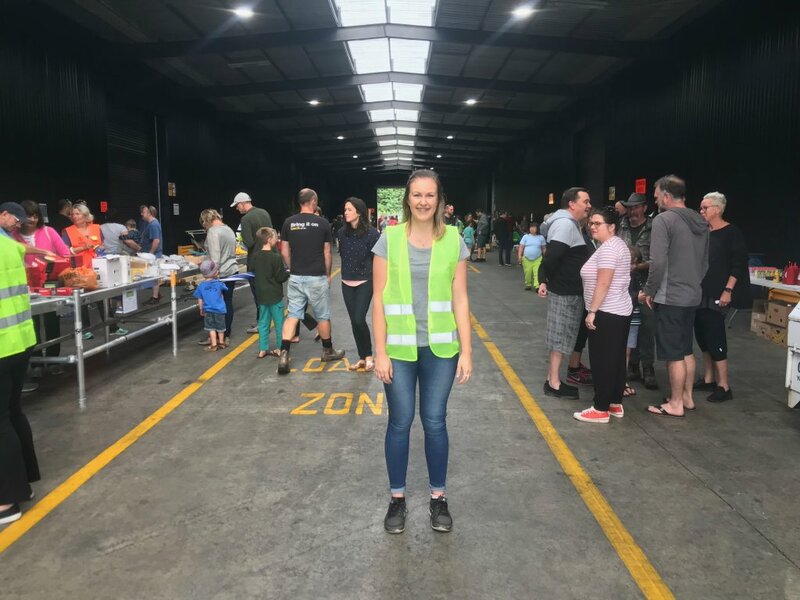 Waipā District Council Waste Minimisation Assistant Katie Hine was ecstatic with the turn out on October 28. Everything went – even the kitchen sink. The Great DIY Garage Sale took place on Sunday, and the man behind the idea is “abuzz”. In partnership with the Waipā District Council and Cambridge East Primary School, Rob May Builders organised the event for the purpose of avoiding DIY products going into landfill. Instead, “tradies” donated their excess materials to be sold at a discount price to the public. All proceeds were donated to Cambridge East Primary School – totalling almost $11,000. “It worked out to be about 15 or 16 tonne that avoided being taken to the tip and clogging landfill,” Jono said. “It’s something we hope to do as an annual event going forward. Waipā Council Waste Minimisation Assistant Katie Hine said the 9am kick off saw hundreds of people ready at the gate.